What is the Real Estate Absorption Rate in Clarksville TN's Real Estate Market? It is the rate the current inventory is expected to be sold based on the performance in the market over the last few months. To analyze the absorption rate, we look at the selling rate and I like to look at the last 3 to six months to get a reading on where the trends are really heading. We have been in a buyer's market for a couple of years meaning that our inventory of homes has been a whole lot higher than it needed to be. Although some neighborhoods were very hot and sold in a month or two, others had homes that sat on the market over a year. A balanced market is said to be about 5-6 months of inventory in Clarksville TN. We have had inventory as high as 11 to 12 months about two years ago and now we are down to under 8 months getting closer to a balanced market. We are still in a buyer's market though but it is looking up and the trends are good. For Clarksville TN's Real Estate Market let's look back at the average number of sales per month over the last 6 months. In Clarksville we have had an average of 255 closed sales per month. At the end of March the active inventory was averaging around 1805 for residential homes. We take the inventory number and divide it by the average number of monthly sales over the last 6 months and it tells us that we are at a 7.08 month absorption rate. If sales continue to be brisk as the pending sales of 312 were in March 2015, and the rate of new listings does not increase we will be under a 6 month absorption rate by early summer. However if a larger number of homes come on the market it could skew the numbers and actually increase the absorption rate. My expectation is that sales will be strong until about mid-summer and then fall off. This has been the trend the last couple of years and in my opinion it is because school starts in early August and people begin to start to settle back in towards the fall and holidays. It is a good time to buy a home in Clarksville TN. That is because home prices have not risen substantially and inventory is still good. Sellers are willing to help pay closing costs for buyers and to negotiate. If we can get to under 5 months of inventory Clarksville sellers will be doing the happy dance as we would then be in a seller's market for sure. 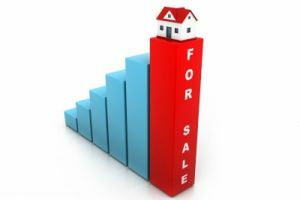 That is when prices become firmer and there is less negotiation from the seller side. If you would like search homes for sale in Clarksville TN click here. If you would like to talk about finding a home contact Clarksville TN Real Estate Agent, Debbie Reynolds at 931-920-6730. It sounds like the perfect time to buy a Clarksville TN home, and Debbie is the Realtor to call!